It’s so nice to know that I’m not going into this month’s TBR list a month behind! And for those of you that were sad that Stray didn’t win last month, I thought you might be happy to know that after I finished Allegiant I started Stray and I’m about halfway done with it already (and enjoying it!). So last month I picked three books for Michelle to have y’all vote on and this month she’s returning the favor. She picked out three books that she’s read and enjoyed and that I have on my TBR. These will all be physical reads, since I don’t have audiobooks for them. I have no idea which one I want to win, so it will be fun to see what y’all pick! I actually already checked this one out from OverDrive, so I can start it immediately if it wins. What would happen if an author went back to the darker themes of the original fairy tales for his plots, and then crossed the Disney princesses with “Charlie’s Angels?” Hines delivers a new take on what happened to Cinderella and her prince after the wedding. Original. I was able to request a paperback copy of this one from the library and it should be available next week – so I’m ready if it wins! I got a signed copy of this one at RT15! So Michelle gave me quite the variety to pick from and I’m prepared with a copy of all three books, so whichever one wins I’m ready! I couldn’t pick if I had to, so good luck! 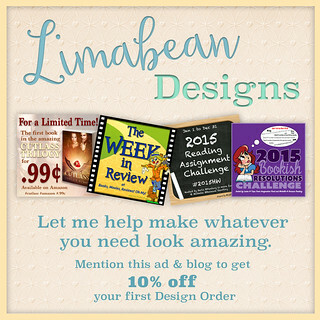 I’m a huge fan of Larissa Ione’s Demonica series (though, it is not a series I would recommend on audio. Some books are good, but some are really bad. Different narrators. 🙁 ). I’m not familiar with the other two books. I guess I won’t feel too bad that my libraries didn’t have an audio copy then! Michelle’s been telling me about this series for about 2 years now, so I really need to read it! I went with the Murder Complex. It was a hard decision though, but it sounds so action-packed that it would keep you on your toes. I also like the cover. I’ve heard really good things about it and I own a signed copy, so I’m excited to read it. It’s really close between it and Stepsister Scheme, so we’ll see! Nice variety of picks this month! 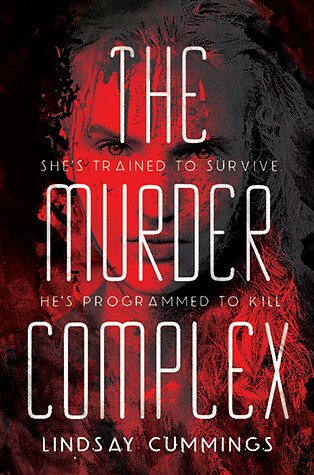 I voted for The Murder Complex as I’ve seen some reviews around and I am curious what you think of it! 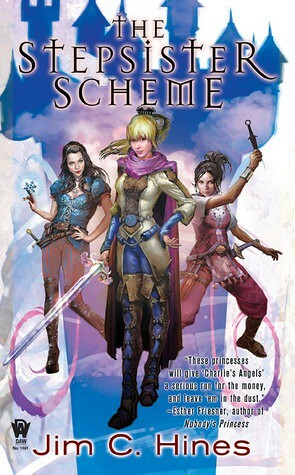 The stephsisters scheme sounds fun as well even though I am not a big fan of fairytale retellings. Michelle did good this month,didn’t she?! I’m really curious about that one too – especially because I now own it! The Stepsister Scheme is probably tied for first in my mind and mainly because I freaking love that cover LOL. GAH! Such a hard choice this go ’round! But I went with the fairy tale retelling because I’m kinda into those at the moment and never get to read one. Pleasure Unbound! I remember really like it and the other like 2 or 3 books I read from that series. I need to reread them though and continue! Michelle’s been talking about Larissa Ione since we started talking – so I think it’s about time I picked up one of her books. And everyone who’s read this one that’s commented seems to have liked it, so that’s a plus! I voted for the Stepsister Scheme, it sounds awesome! It does look like a fun one. I had forgotten putting it on my TBR, but Michelle pulled it from my Dying-to-read list, so clearly after reading reviews I really wanted to read it LOL! LOL well, it’s way in the lead at the moment, so I think you’ll get your wish 😛 Looking forward to it, just need to go pick it up from the library. Michelle, talk to me,! I’ve read them all and I’ve met Jim multiple times! Read The Stepsister Scheme, Berls. Read it now! Terri,It is a series I have actually considered re-reading and want all the books to put on my shelf. I would love to meet him to say it was amazing. They are such good books, I really think they need a lot more attention. I agree with you on all points, Michelle. Are you far from IA? Jim’s coming to ICON this year and I am his guest liaison. I think, for once, your pick is going to lose 🙁 But I’m thinking someone’s vote didn’t go through because yours is the third comment saying Murder Complex and it only has two votes so far… weird. But I really want to read it, so soon reagardless! I had to pick Pleasure Unbound by Larissa Ione. I read it a few years ago, but I still remember how refreshingly different it was from everything else I had read, so of course I want everybody to read it, lol!